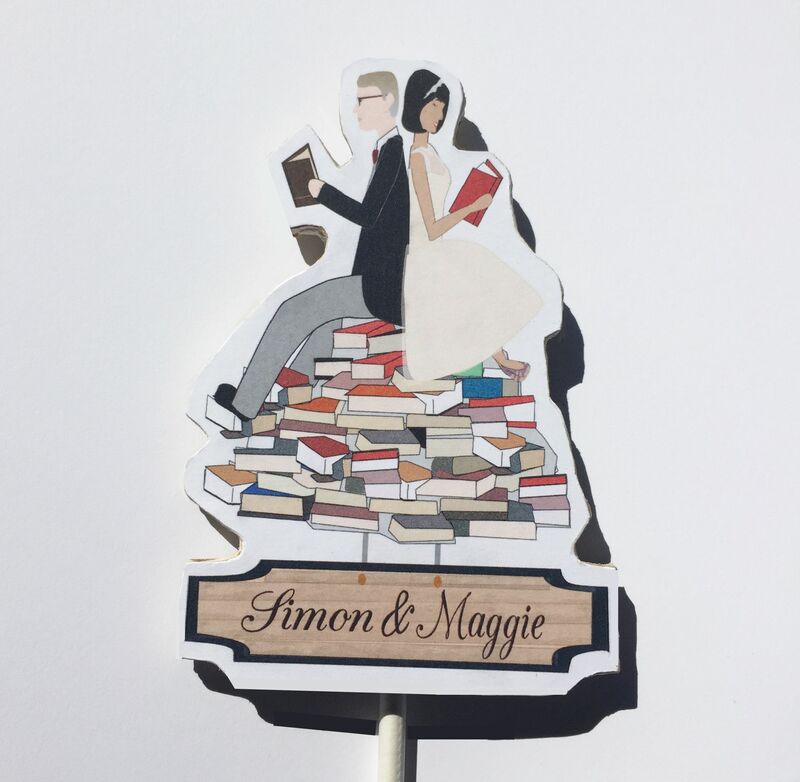 This was a cute topper for a bride and groom that love to read together! The illustration is done by me based on photos sent to me by you. Once the illustration is done then you are allowed revisions until you are happy with it! 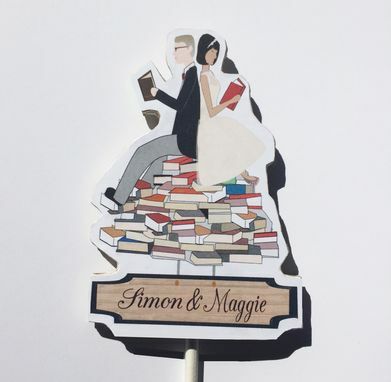 Once you are happy with it I mount it onto wood and it is cut out using a dremmel tool. It is then attached to a wooden dowel. The front is sprayed and sealed and the back is painted.